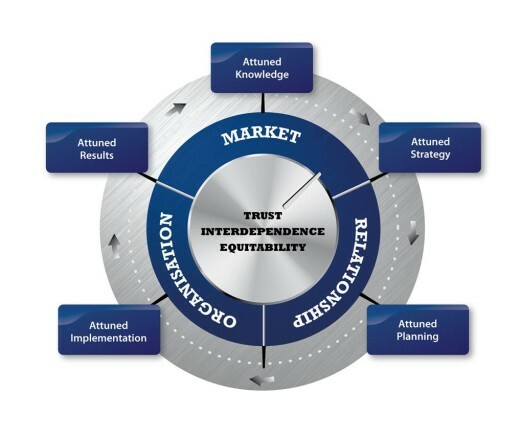 This series of blogs explores twelve “golden threads” of critical capability across the CAA® model and considers their application in B2B customer management (CM). All of the threads are important, but your business needs to decide which of these will be defining characteristics of YOUR corporate DNA. Do you have intelligence regarding the way prospects list their suppliers and where you stand in these lists? How well do you understand the effectiveness of hunting activity? Have you defined the criteria by which you qualify prospects & opportunities in or out? Do you check for trustworthiness? Is there a hunting strategy that is distinct from the NPD, Market and Category strategies? Does it identify key target prospects that will enable you to ‘crack’ the sector? Is there a common methodology to manage the pipeline? Do you collaborate with affinity partners to target each other’s customers? Is there a winback strategy? Do you have a lead product? Do contact plans extend to prospects, especially Strategic Acquisition targets? Is the pipeline managed on a daily/ weekly/monthly/quarterly basis? Is collaboration with partners planned or ad-hoc? Do you plan advocacy to ensure customers & staff recommendations? Do you have winback plans? Is there a hunger to win new business? Are roles & responsibilities clear across the business and intermediaries around the handling of prospect enquiries? Is there adequate diligence to ensure that ‘deals’ actually turn into purchase orders? Do winback programmes recognise the reason for lapse/loss? Do you track the acquisition rate and celebrate wins from brand new customers? Do you track the sources of new business, which are managed through the pipeline (vs. “appearing out of nowhere”)? Is collaboration and affinity partnering leading to new business? Are winback activities in recovering lost relationships? How does B2B perform in these five areas? The chart shows the highest, lowest and mean (benchmark) scores for companies on the Customer Attuned database. 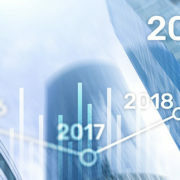 B2B overall’s strongest score is in the doing and the low best-ever scores for knowledge & strategy suggest that acquisition is quite tactical in the sector. 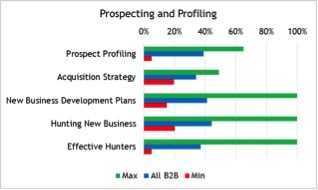 The lowest scores registered show that strategy is at least in development in all B2B. Where would your business score? We are conducting research in June/July 2015 into which of the 12 Golden Threads are of most strategic importance in your sector. Participate in our research here!! To read the full e-book please fill out this form and we will e-mail it to you. 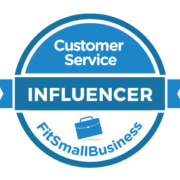 Peter Lavers is a co-founder and Director of Customer Attuned Ltd.
An expert in CRM and customer experience management and recognised as a top influencer in the subject e.g. IBM Futurist Roundtable member; Satmetrix Top 50 & SAP Top 60 Customer Experience influencers; Huffington Post Top 100 Customer Service professionals; MindTouch Top 50 Customer Success influencers; and Business Coach Top 100 Management Experts. Peter's early career was with Rolls-Royce and Bentley Motors, where he trained as an engineer and went on to hold senior roles in commercial and logistics, market analysis, customer satisfaction, regional marketing and in his last client-side position as head of relationship marketing.